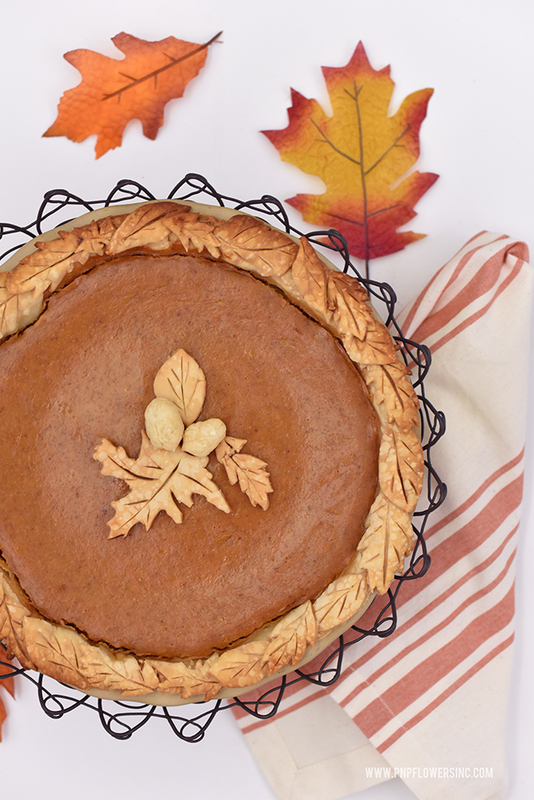 This is the BEST Pumpkin Pie you'll ever make...hands-down...not even kidding. the Butter Bakery in Vancouver British Columbia. from the five pies my daughter's and I all baked together for Thanksgiving. 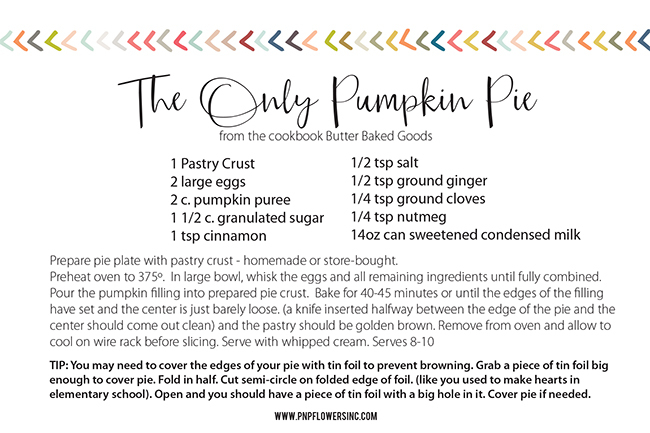 This recipe is easy as pie and truly makes the best tasting pumpkin pie on the entire pumpkin pie planet. It comes from The Butter Bakery's "Butter Baked Goods" cookbook I bought a couple of years ago. (remember this post). And although I'm sharing the recipe today...you should totally just buy the cookbook because it's filled with so many wonderful recipes and photos AND IT'S SO PRETTY. 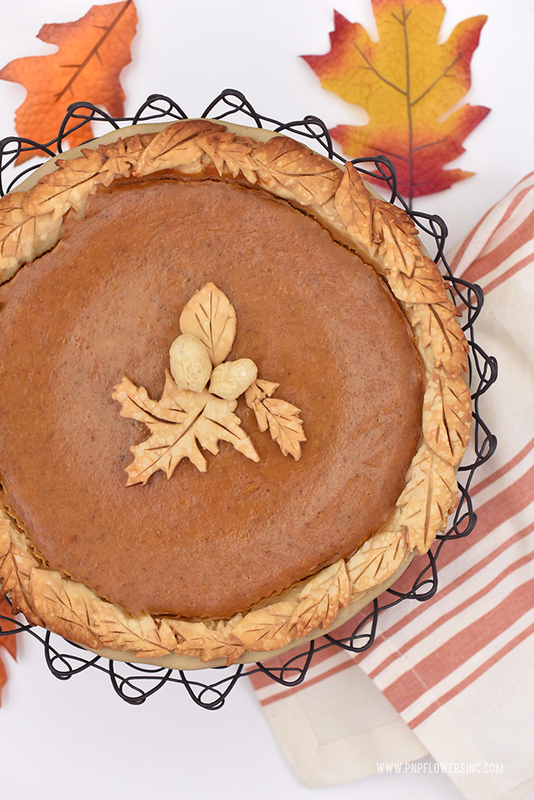 Now...you can keep the crust "easy as pie" by not getting all fancy like I did with hand-cut fall leaves and the wonky looking acorns I tried to make. Ha! 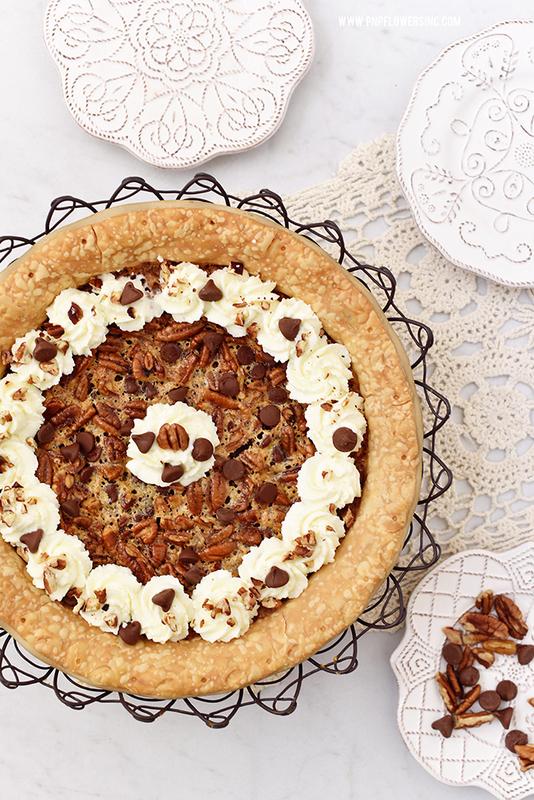 TIP: I baked the center pie crust decorations separately and then added them to the pie after it had baked and cooled. You can totally just do a normal crust because it's not going to make a difference on the way the pie tastes. 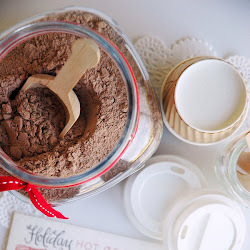 OR...if you want to get a little fancy but not too fancy, you can use mini fall leaf cookie cutters like these or this 2 inch Leaf Cutter Set to make the process super fast. It's easy...AS PIE...to make and I know you're going to love it! 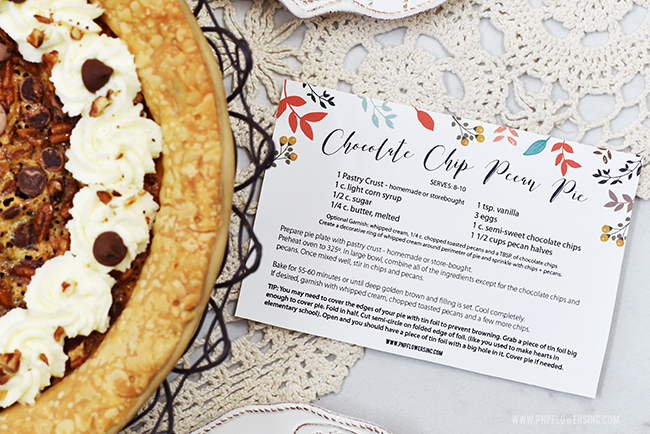 Now go download the recipe card and print it off to add to your cute recipe box if you have one. 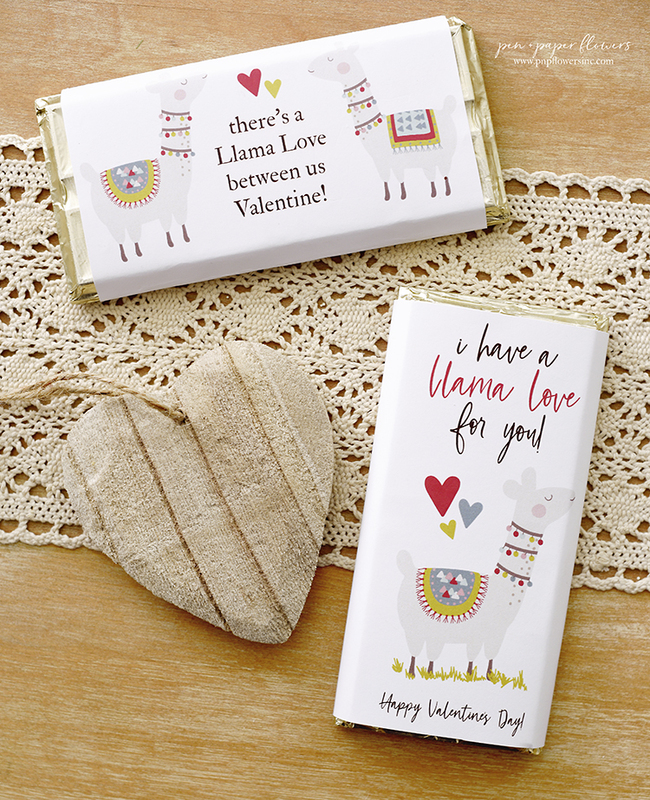 (I don't have one but I'm eyeing this one from Rifle Paper Company). I hope your day is as sweet as PUMPKIN pie! 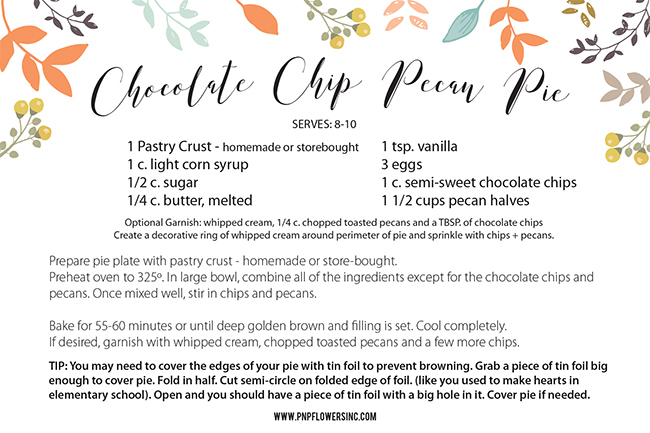 Stay tuned for the other four pie recipes coming this week!! I totally would've used my mini fall leaf cookie cutters instead of having to hand cut all of the leaves but while I was in the middle of making the pie I searched all over my pantry looking for them and then remembered my mom borrowed them last year and hasn't returned them yet. Don't you hate when that happens? 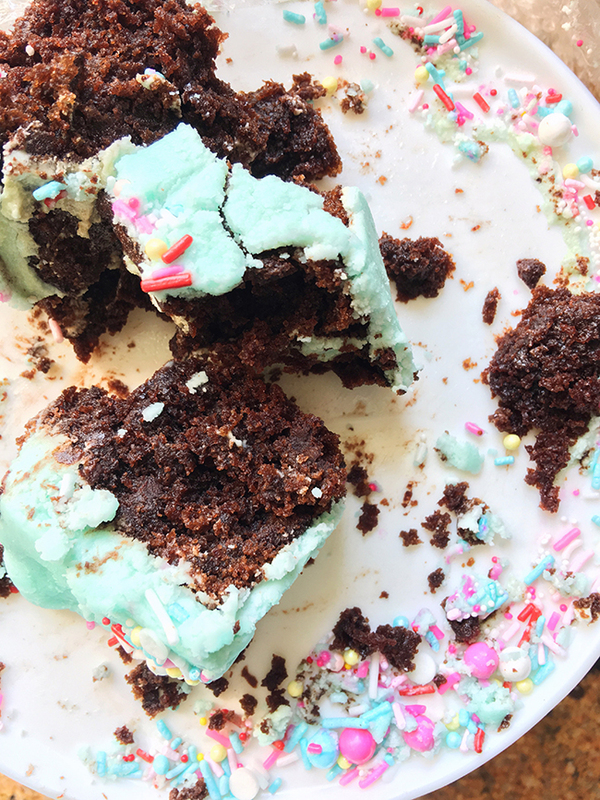 My Ella Pie turned eight years old on November 14th and this is what's left of the cake she requested. 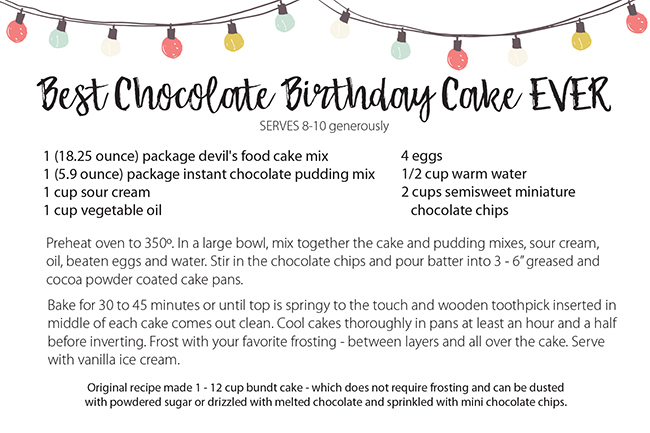 If you've been following along my blog for awhile, you know it's a family tradition to allow the person celebrating a birthday to choose their birthday dinner and birthday dessert - usually homemade by mom. Clara typically chooses cheesecake, Ema has chosen a fresh fruit cake for the last five years and Ella has been known to pick ice cream cakes - not homemade. As you can see...no one ever really chooses a traditional cake - myself included. 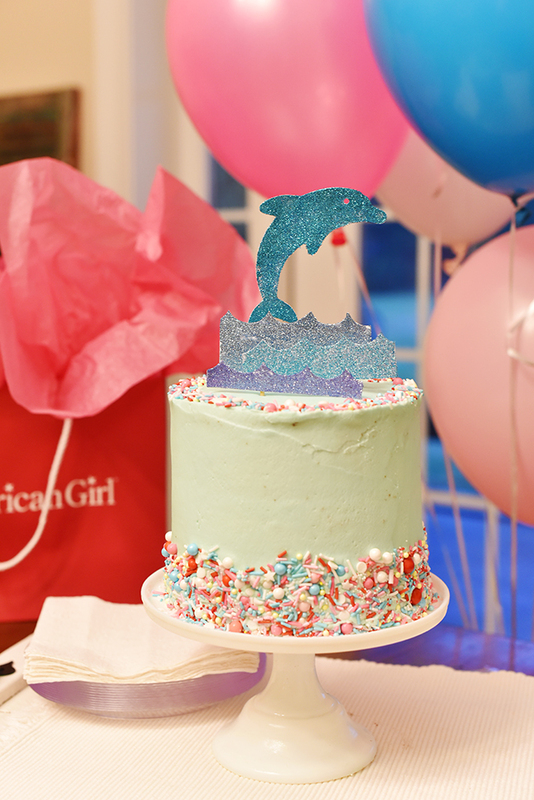 So I was really surprised this year when Ella said you wanted a "chocolate cake with blue frosting and a dolphin on top". Regardless of the funky lighting...I just LOVE how it turned out. I'm not a huge fan of cake...even though I love cupcakes. I've only baked a few "cake" cakes in my life so I'm certainly no expert but I am familiar with lining the pans, greasing the pans, dusting the pans and frosting a layer cake. As my wheels started turning to figure out which chocolate cake recipe to go with, I remembered my friend, Allison, had recently made a chocolate cake for her daughter's birthday and raved about the recipe she used from someone at church. I went with it and BAM! It's a winner!! It's moist for DAYS...and it's oh so chocolatey!! Which is why I'm sure it's original name is "Too Much Chocolate Cake". The original recipe called for this to be a bundt cake but I turned it into a 3 layer 6" inch cake with buttercream frosting. I swapped out the regular chocolate chips for miniatures and I've renamed it "The Best Chocolate Birthday Cake EVER"! 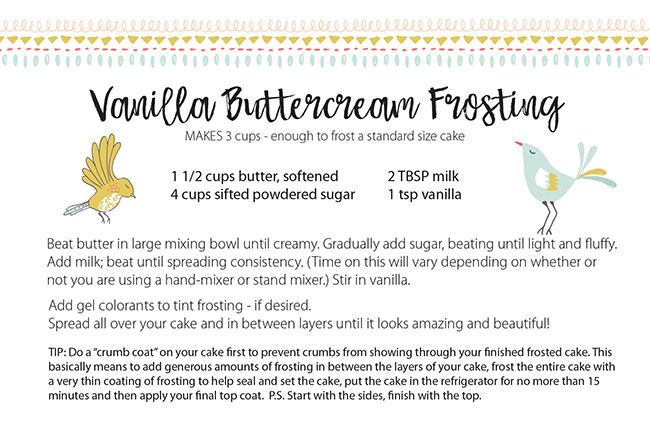 I've even created cute recipe cards for you to download and print if you'd like because I love it that much! 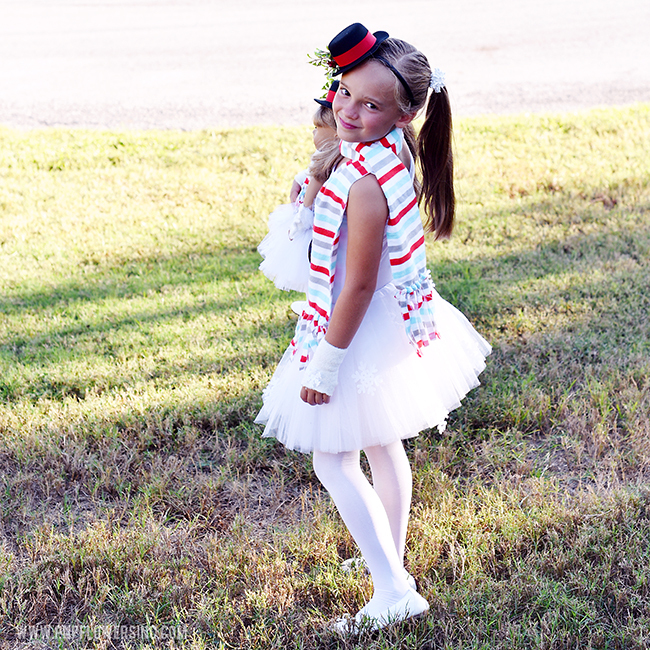 Told you she'd just got home from gymnastics practice! She's still in her leotard. Anyway...the Sweetapolita sprinkles really make it extra adorable. 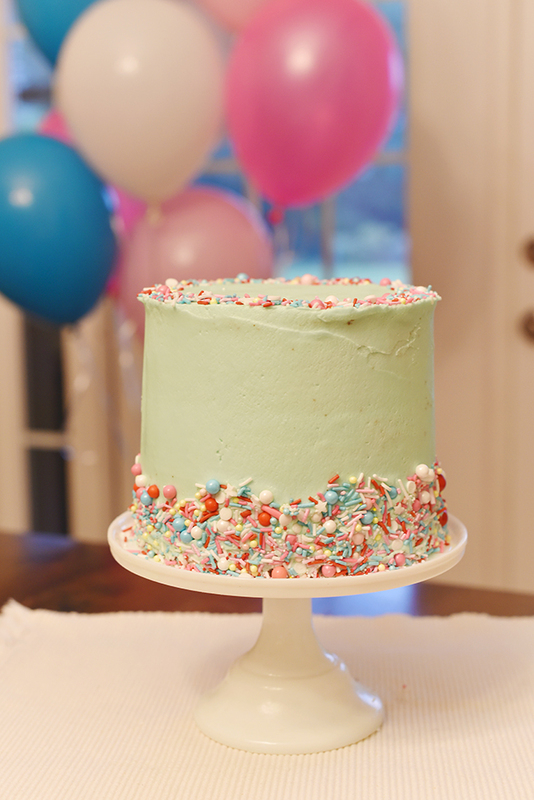 AND...if you aren't a cake baker or decorator...the sprinkles let you skip all those fancy piping details. BONUS!! This cake is SO easy...especially if you do the bundt-cake version. 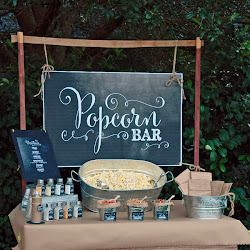 You could totally make this to surprise your family at Thanksgiving. Hope you'll try it you guys! Happy Thanksgiving to you and your families!! 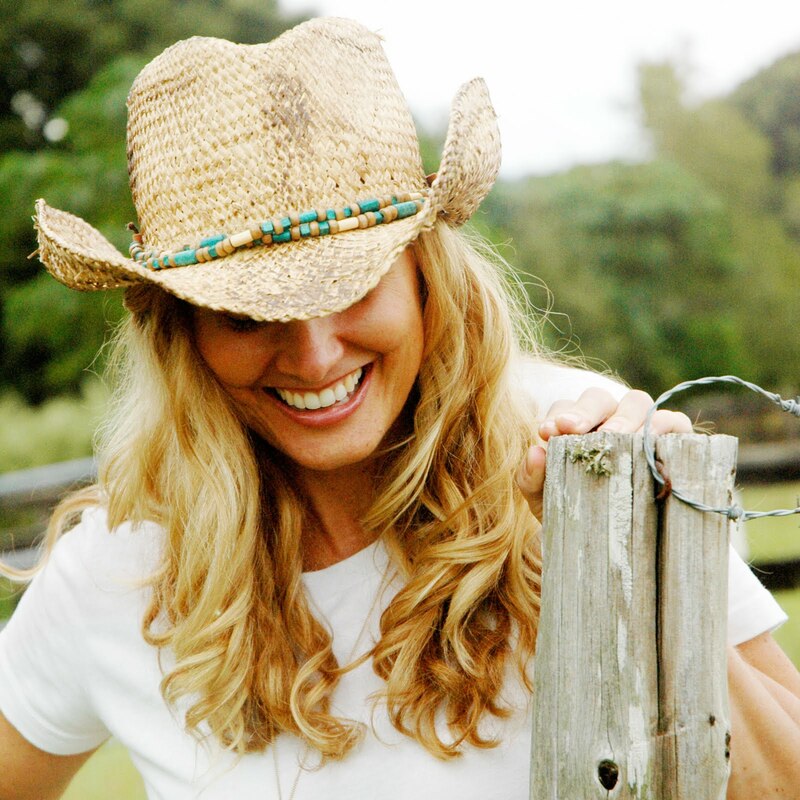 I am so grateful for your love and support and the stories you guys share with me. Thank you from the bottom of my heart for being so genuine and real. The world could use more YOU in it!! 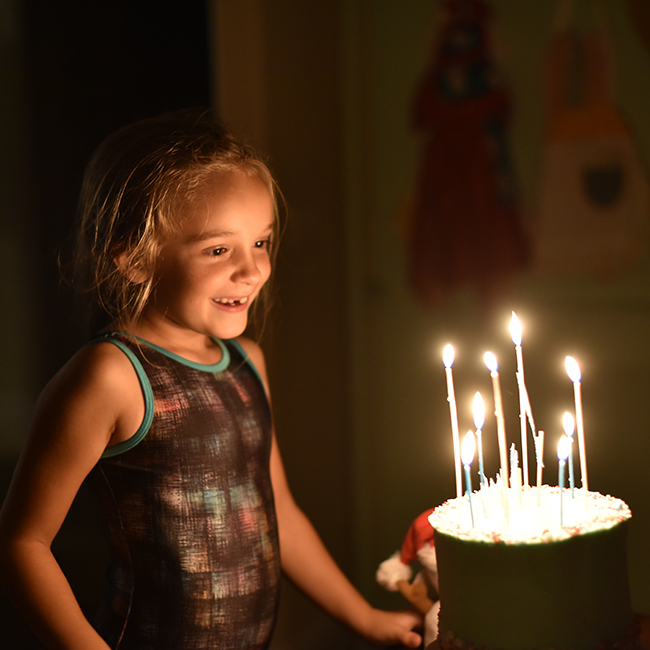 I should clarify that Ella loved the way her birthday cake LOOKED on the night of her birthday because she never even ate any of her birthday cake that night. *gasp* She'd had a fever for three days previously and was okay...but not 100% percent and just didn't want any cake. 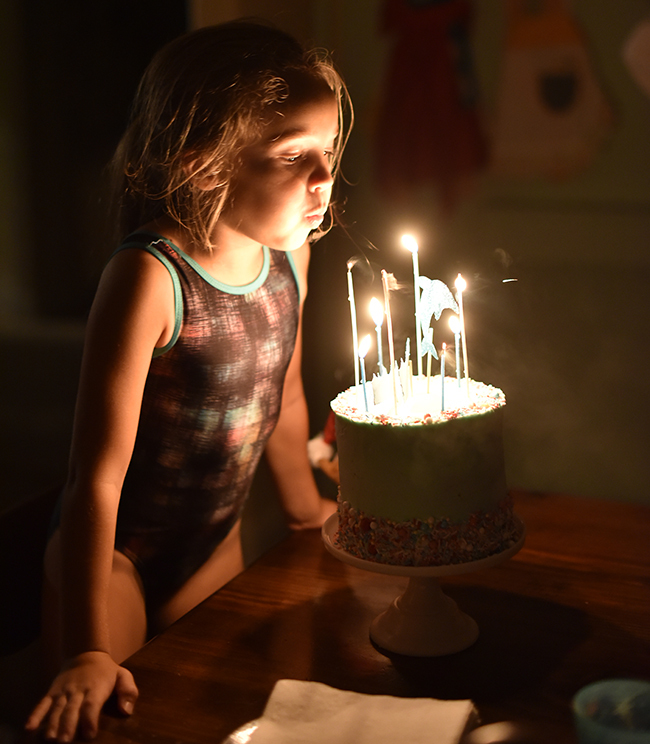 I was SO disappointed my little birthday girl wasn't even eating her own requested special chocolate cake with blue frosting and dolphins on top birthday cake. P.S. 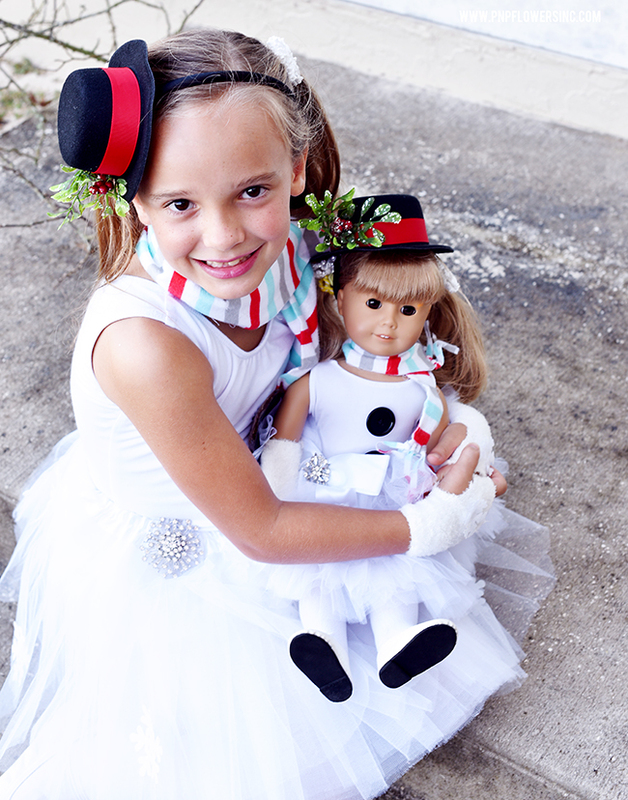 I still have her American Girl Doll themed birthday party details to share with you too. But let's kick back and enjoy the Thanksgiving holidays for right now my friends. I'm popping in really quick this afternoon to share something I'm super excited about. Have you guys heard of Grove Collaborative? It's a monthly subscription for household beauty, health and cleaning products THAT WORK and are free of yucky things we don't need to be exposing ourselves or our families to. 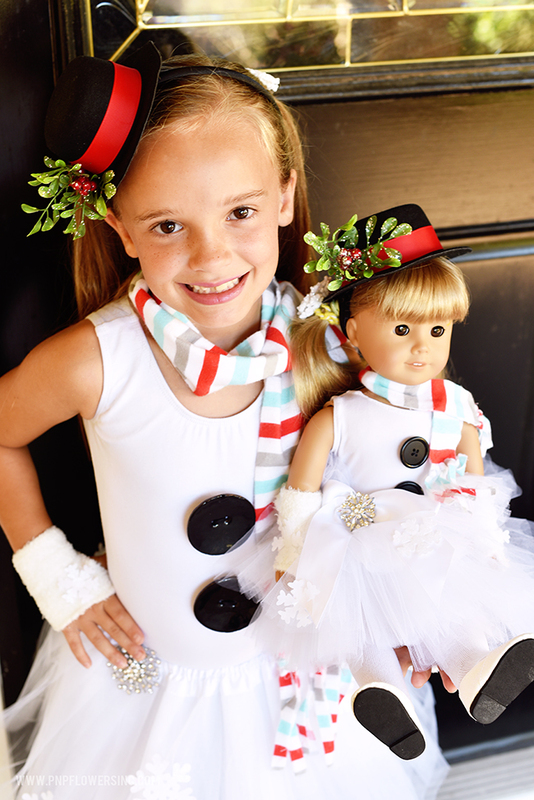 I hadn't heard anything about them until Lolly Jane Blog posted about them and I couldn't sign up fast enough. I'm sure there are plenty of mamas out there that get a little crazy like I do about all the garbage in all of the stuff we use to clean our homes and make ourselves look pretty and feel healthy. 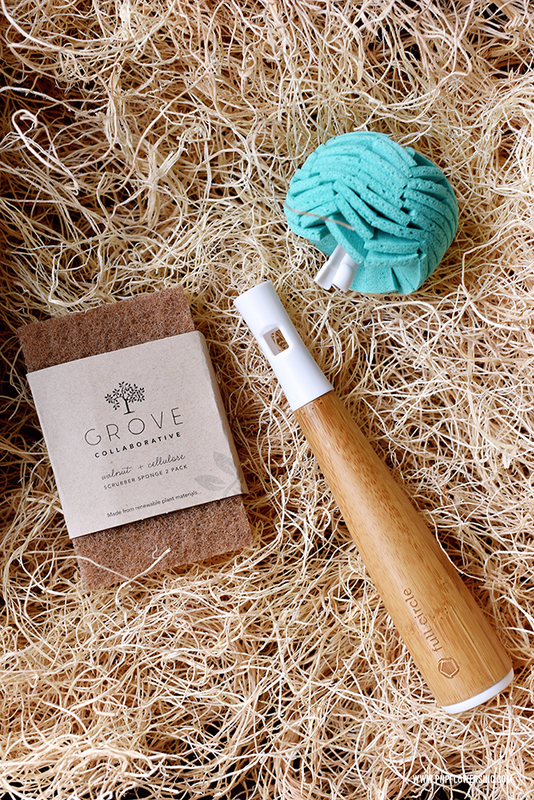 If you are one of those mamas, you should totally check out Grove Collaborative. They didn't pay me or give me products to write this post. You guys know I only share things that I really like or love and think you might want to check out. So...CHECK THEM OUT!! So yes! 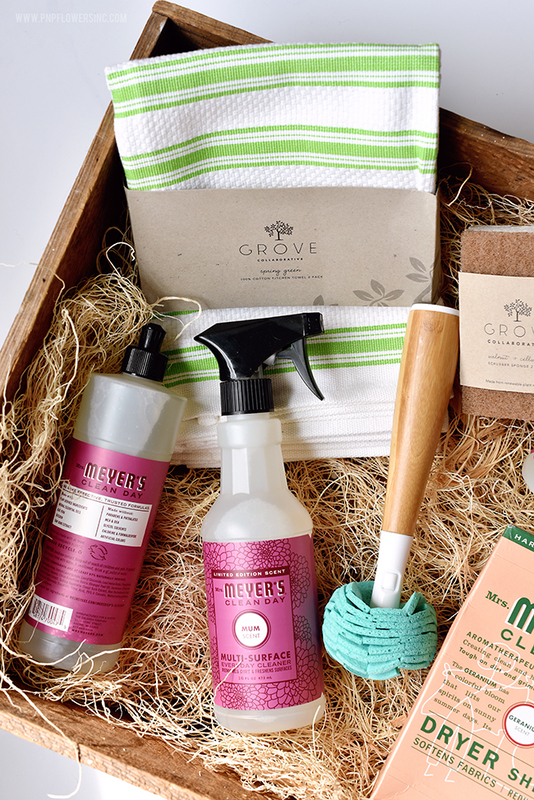 These photos show the items that came in my very first Grove Collaborative box! 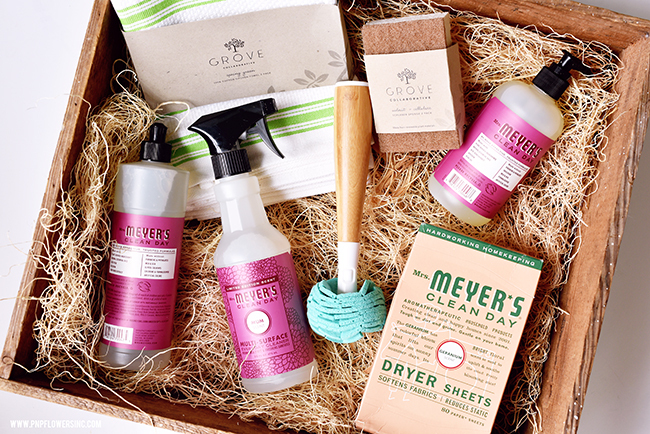 I LOVE Mrs. Meyers products...which is what really caught me eye in the first place in the Lolly Jane post because you could earn FREE Mrs. Meyer's products by signing up! YES! Yes please!! The limited edition "Mum" dish soap, hand soap and multi-surface cleaner all smell SO amazing. I'm not even kidding. It's now my most favorite scent I've ever tried in the Mrs. Myer's line and I'm hoping they'll make it available year-round. It smells like a light, pretty perfume and I've found myself walking around the house with the spray bottle looking for things to clean...just to be able to use it! Ha!! Anyway, would you look at this adorable glass cleaner "brush sponge thingy". (pictured above) The sponge head pops off! It's replaceable. I had no idea until it arrived. So smart. And look at that beautiful handle. 1. The head office only has 16 employees (and 3 dogs apparently) and their boxes are all hand-packed by their warehouse teams. I've been SO impressed by their customer service. 2. The quality brands they use are good for you, your family + our planet. 3. They stand by their products 100%. You can return a product you don't love - no questions asked. Another thing I love is if you sign up, they have a place where you can actually share $10 with a friend or family member and then you'll receive $10 if that friend or family member signs up. I think everybody wins!! Anywho....I'm going to stop talking and let you just GO CHECK THEM OUT! And then come back and tell me what you think. I'd love to know your thoughts on this new-to-me company.